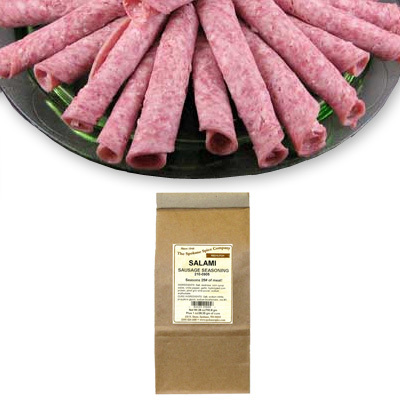 With your homemade Salami you can stuff calzones, top pizza or just have a delicious snack. 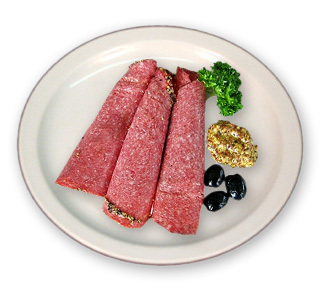 Use with beef, wild game, pork or poultry. Ingredients: Corn Syrup Solids, Salt, Mustard, White Pepper, Garlic, Onion, Hydrolyzed Corn Protein, Pinot Gris Wine Powder, Sodium Erythorbate.